Like every profession, there are numerous attorneys who are dedicated to charging fair fees and zealously representing their clients. On the other hand, there are numerous attorneys who are either not qualified in certain matters, but will become involved if ‘the price is right,’ or who are not dedicated to putting the interests of the client first. If you are charged with a criminal offense, there will be several considerations when selecting a criminal defense attorney who is truly committed to giving you the best representation possible. 1. Criminal Defense or Personal Injury Lawyer? Do you want an attorney who writes a will on Monday, represents a plaintiff in a car accident case on Tuesday, appears at an immigration hearing on Wednesday, represents a client for a speeding ticket on Thursday, to represent you, when your liberty is at stake, on Friday? Select an attorney or law firm that practices exclusively criminal law. Whether or not you choose to retain Broden and Mickelsen, we strongly recommend hiring an attorney whose practice is almost entirely dedicated to criminal defense. Criminal defense is a highly specialized field of law and it is very difficult for an attorney who practices in several areas of the law to have the knowledge necessary to provide the right type of representation to clients. A criminal offense is a serious matter; defendants deserve an expert with full knowledge of the law, other cases, and guidelines. Review the website of any attorney that you are contemplating hiring to determine how much of his or her practice is dedicated to criminal defense. At Broden and Mickelsen, all partners practice exclusively criminal defense. In addition, both Clint Broden and Mick Mickelsen are members of the National Association of Criminal Defense Lawyers and the Texas Criminal Defense Lawyers’ Association. Clint Broden also serves on the Board of Directors of the Texas Criminal Defense Lawyer’s Association. Membership in these organizations represent a commitment to the practice of criminal law and you should be extremely wary of hiring a lawyer that is not a member of both of these organizations. Second, do you want an attorney that is certified by the Texas Board of Legal Specialization as an expert in criminal law or do you want an attorney that is not board certified as a specialist? Approximately 10% of attorneys are certified by the Board as specialists in a particular area of law. Submit an application to the Board setting forth the trials and appeals he or she has handled in both state court and federal court. Continue legal education in the field of criminal law. The Board obtains evaluations about the attorney from judges, prosecutors and other criminal defense lawyers. Finally, the attorney must pass a rigorous examination, testing his or her knowledge of both state and federal law. We suggest that, with your liberty at stake, you hire an attorney who has undergone the rigorous hurdles to become board certified as criminal law specialists. If you are considering hiring a non-specialist, ask the attorney why he or she is not Board Certified. Both Clint Broden and Mick Mickelsen are certified by the Board as both criminal law specialists and criminal appellate law specialists. 3. A Prosecutor or a Defense Attorney? Third, do you want to select an attorney who was a former prosecutor or an attorney that has always fought for the citizen accused? Former prosecutors will argue that experience from “the other side” is a valuable asset. On the other hand, many criminal defense lawyers were trained since the beginning of their careers to develop creative defenses that might not occur to a lawyer with a more prosecutorial frame of mind. Defense lawyers that never worked for the prosecution also have no allegiances and may be more comfortable vigorously challenging the opposition. You want your lawyer’s allegiance to be to you and not to a relationship they have formed with the prosecutors. Moreover, you want an attorney who believes in your innocence and does not approach your case as a prosecutor where you have to prove your innocence. Both partners at Broden & Mickelsen are career criminal defense lawyers and will zealously represent YOUR interests. Be very wary of an attorney who tells you that he can get you a “special deal” because he or she was a former prosecutor or “knows” the judge. That is NOT how the system works. 4. State Court or Federal Court? Fourth, are you charged in state court or federal court? Generally, federal court is a much more formal atmosphere with strict deadlines and also involves more written “pleadings” than state court. Sentencing in federal court is done using complex sentencing guidelines that the judge will often follow. It is almost impossible to provide effective representation in federal court unless an attorney practices in federal court on a regular basis and understands the sentencing guidelines inside and out. In short, because of the much less structured environment, most Board Certified Criminal Defense Lawyers who practice exclusively criminal defense can provide effective representation in state court. On the other hand, if you are charged with a crime in federal court, always make sure that your attorney has extensive experience practicing in federal court and does not practice primarily in state court. Both partners in the firm have over twenty-five years of experience each, defending citizens accused of crimes in Federal Courts. Before hiring a lawyer in a federal court proceeding, request that the lawyer show you on PACER (a web site containing all federal cases) how many cases that attorney has handled in the particular federal court. 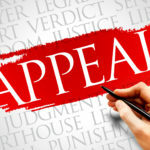 Selecting an attorney to represent you at trial or on appeal? Most attorneys practicing criminal law represent people in the trial courts. Only a small percentage of those practicing criminal law also regularly represent people on appeal. At Broden and Mickelsen, we represent people both at trial and on appeal and we believe this to be an important factor when choosing a lawyer. At trial, a lawyer must have extensive knowledge of the decisions reached by appellate courts in order to make sure that your rights are upheld and that proper objections are made at trial in the event you must appeal a guilty verdict. It is difficult for a lawyer to develop this extensive knowledge unless he or she regularly represents people on appeal and continually conducts legal research in order to keep up with the trends of the appellate courts. A substantial portion of the practice at Broden and Mickelsen is dedicated to researching legal issues in connection with appeals. As a result, we can offer you excellent representation on criminal appeal. Just as important, at a trial we know the current state of the law and can preserve your right, in the event an appeal becomes necessary. We firmly believe that, when you consider the various factors necessary to making an informed decision regarding which criminal attorney you should select, you will realize why Broden & Mickelsen is one of the preeminent criminal defense firms in the United States. Feel free to contact us to see if we handle your type of criminal matter.